The CIRCASA Project is hosting the webinar: “Strengthening the research community and structuring knowledge” on Friday 03 May, 2019. In this webinar, the CIRCASA WP1 leader and colleagues will present the WP1 (Workpackage 1: Strengthening the research community and structuring knowledge) activities, first results of the researcher’s survey, as well as current cartography of the scientific network working on the field of soil organic carbon sequestration in agriculture. Pete Smith – WP1 leader, Professor of soils and Global Change at the Institute of Biological Sciences at the University of Aberdeen, Scotland, UK. Andy Bray – Research fellow, specialising in biogeochemistry and environmental mineralogy at the School of Earth and Environment, University of Leeds, UK. Jan Verhagen – Senior scientist, specialising in agricultural systems, carbon cycle, and climate adaptation at the Wageningen Plant Research, Netherlands. 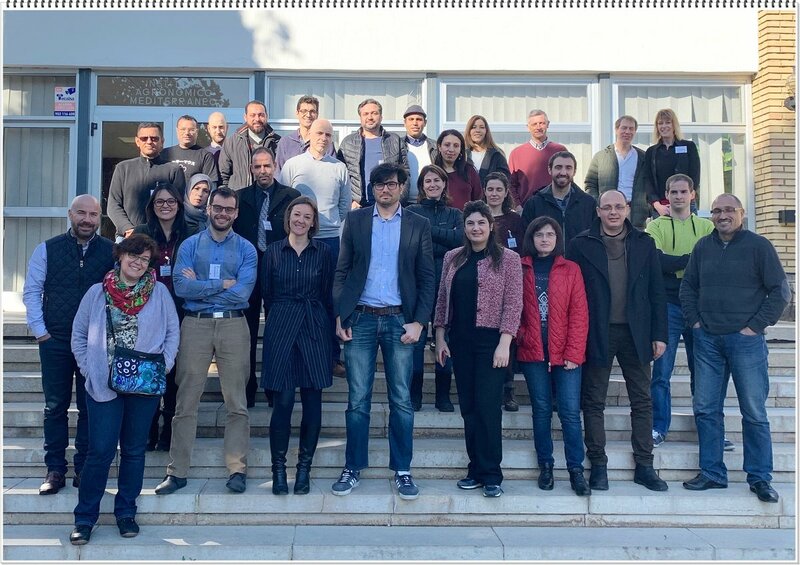 The Integrative Research Group (IRG) of the Global Research Alliance on Agricultural Greenhouse Gases (GRA) is hosting its first webinar meeting: “IRG linkages with the 4p1000 initiative and the CIRCASA project”. This webinar is part of a series of webinars which aim to inform the GRA community and others about the IRG activities contributing to the GRA goals. For this first time, the presenters will mainly talk about other projects and initiatives’ structure and how they interact with and complement the IRG activities. They will present “The Coordination of International Research Cooperation on Soil CArbon Sequestration in Agriculture” (CIRCASA) and the “4per1000: Soils for food security and Climate” initiative. The first issue of the Croplands Research Group (CRG) newsletter is now available! The “4 per 1000” initiative: soils for food security and climate. Brazil agenda on sustainable intensification. Climate change projects: AFINET project and the SheepToShip LIFE project. Interesting events, including upcoming conferences, workshops, and much more. Aarhus University is hosting the Conference Circular Bioeconomy Days 2019 from 25 June to 27 June. The transition to circular bioeconomy has enormous industrial potential and significant benefits for the environment, climate and a sustainable society. How can companies and agriculture enter into a circular bioeconomy, and how do we ensure that its further development will be of value to industry and society? These questions are the focal points of the conference Circular Bioeconomy Days 2019, to be held from 25 to 27 June 2019 at Aarhus University in Foulum. The conference organisers are Aarhus University’s Centre for Circular Bioeconomy (CBIO), SEGES, Agro Business Park, Central Denmark Region, Viborg Municipality, INBIOM and the EU project Green VALLeys. The event will gather the most important Danish and international actors, who will discuss circular bioeconomy as a tool to implement the UN Sustainability Development Goals, and, more precisely, to develop the sustainable protein of the future. To read more about the conference, including how to register, please click her . Applications are invited for a PhD fellowship the Graduate School of Science and Technology, Aarhus University, Denmark, within the Animal Science programme. The position is available from 1 August 2019 or later. Enteric fermentation in ruminants results in a significant production of methane which not only constitutes a significant part of the carbon footprint of dairy and beef production, but also represents a significant loss of energy. The ruminant sector thereby contributes substantially to the total agricultural greenhouse gas emission in Denmark. This calls for not only the development of mitigation strategies to reduce enteric methane, but also a deeper understanding of the fundamental mechanisms in the rumen related to methane production. This project will focus on quantifying enteric methane using respiration chambers, identifying mitigation strategies primarily related to feeding, and quantifying animal variation in response to a given feeding strategy aiming at reducing enteric methane. The project will include digestibility trails using rumen and intestinally cannulated dairy cows and statistical analysis of data from different types of experiments. This project will have an important impact not only in the scientific community but also among farmers and consumers, as reducing the carbon footprint of dairy production is essential for numerous private and public stakeholders. The place of employment is Aarhus University, and the place of work is at the Department of Animal Science, Aarhus University-Foulum, Blichers Alle 20 , DK-8830 Tjele, Denmark. Please note all applications must be received no later than 1 May 2019 (Danish time). Applying: to read more about the fellowship and to apply please click here to visit the website of Aarhus University . Apply: to read more about the fellowship and to apply, please click here to access the ILRI webesite. The VII Remedia Workshop “Agroforestry Systems as a Solution to Climate Change” will take place in Lugo, Spain, Europe, during 27th – 28th March 2019. The workshop will include sessions about mitigation of GHG in livestock, agricultural and forest systems within the framework of the agroforestry systems and will start with a keynote from the CRG GRA chair Proff. Ladilau Martin and also with presentations of relevant GRA activities such as those conducted by GRA members related to the CIRCASA and AFINET projects. There will also be a workshop linked to the Spanish Red NUEVA to show stakeholders how to measure greenhouse gas emissions. For more information about the workshop click here. The Order of Engineers of Tunisia is organising, with the collaboration of the World Federation of Engineering Organizations, an international conference on sustainable food systems and food security: “Engineering and Food Security in Africa” (EFS Africa 2019) on June 24th and 25th. The conference will bring together more than 250 engineers, climate change experts, and policy makers from various African countries to establish an operational action plan aimed at improving food security in Africa. The action plan will be announced in the Tunis Declaration, which will be sent to the UN General Secretary and African heads of state. To read more about the conference, including how to apply, please see the documents in the links below and click here to visit the EFS Africa website. The deadline for the submission of abstracts is March 15, 2019, so if you are interested in attending be sure to apply soon. 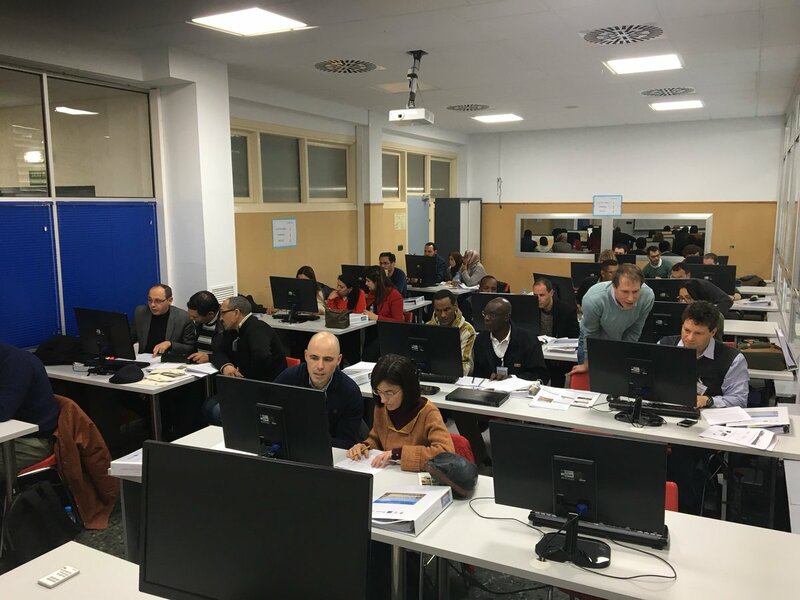 The course took place from 11 to 15 February 2019 in Zaragoza, Spain, and was hosted by CIHEAM Zaragoza. It provided participants with over 20 hours of in-class training and 14 hours of practical work and debate supplemented by real-life case studies in the context of Mediterranean agriculture and climate change conditions. Participants were given the opportunity to engage in practical exercises on greenhouse gas national inventories calculations while learning more about adaptation and mitigation strategies, measuring methodologies and modelling tools in livestock systems. They also networked with experts and professionals from other countries interested in livestock farming and the mitigation of the effects on the climate and the environment. For more information about the CIHEAM Zaragoza institute click here to visit their website and here for their twitter. Greenhouse gas national inventories calculations exercises. The 11th Global Forum on Food and Agriculture (GFFA) “Agriculture Goes Digital – Smart Solutions for Future Farming” was held in Berlin, Germany from 17th to 19th January. 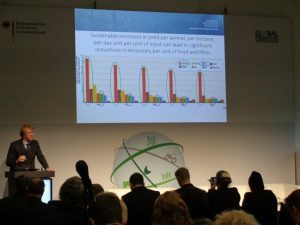 The GRA organised an expert panel “Blue skies for green farms: a 21st century research agenda,” which was chaired by the GRA Council Chair, Dr. Wolfgang Zornbach, Federal Ministry of Food and Agriculture, Germany. 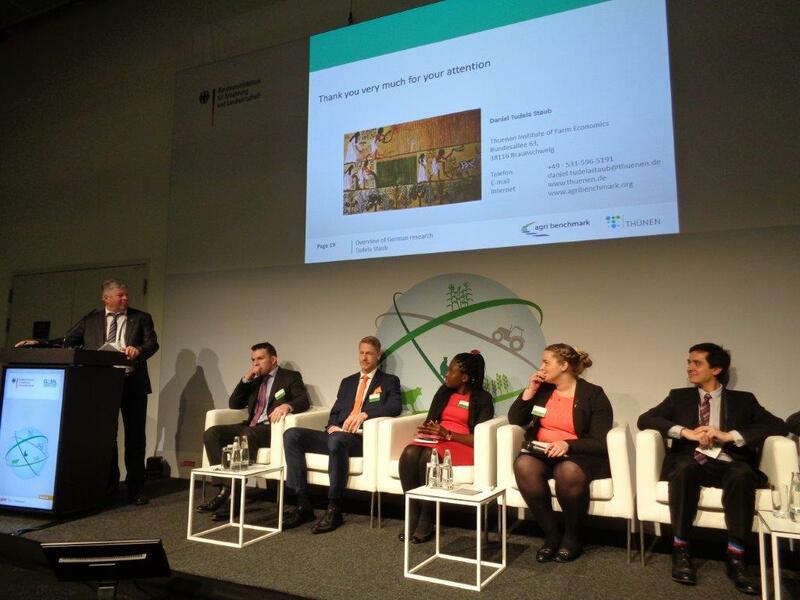 Participating in the panel were the GRA Special Representative, Hayden Montgomery, Daniel Tudela Staub, Thünen Institute of Farm Economics, and a panel of young farmers from the World Farmers Organisation, including Tero Sarkala, Finland; Martha Agyemang, Ghana; Brian Rushe, Ireland; Sarah Crofoot, New Zealand. The panel discussion addressed plausible agricultural development pathways to reduce agricultural greenhouse gas emissions and included a presentation of global mitigation research being conducted through the Global Research Alliance by its members and partners across livestock, crops and rice production systems as well as a deep-dive into soil research and farm economics being conducted by Germany and collaborators in the Agri-Benchmark initiative. The GRA Special Representative at the Global Forum on Food and Agriculture. World Farmers Organisation young farmers panel. The GRA Special Representative also participated in an event organised by the World Farmers Organisation (WFO), which explored the opportunities and challenges of digitalisation for young farmers as well as the ways in which businesses and industry can help farmers achieve sustainable food security. The GFFA is an annual international conference, organised by the German Federal Ministry of Food, Agriculture and Consumer Protection. The aim of the conference is to address key questions regarding the future of the global agri-food industry. The conference provides representatives from the worlds of politics, business, science and civil society with the opportunity to share ideas and enhance their understanding on a selected topic of current agricultural policy, and is the world’s largest conference of agriculture ministers. To read more about the GFFA click here.